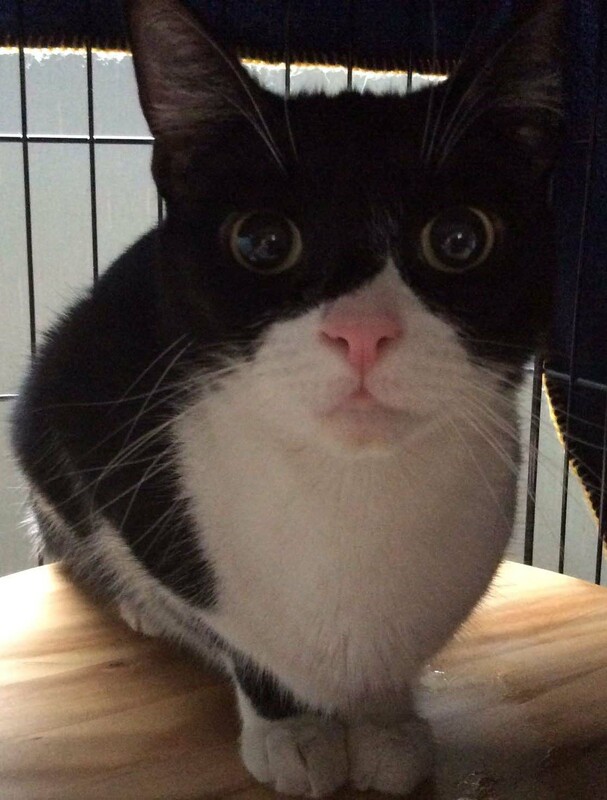 In August 2014, I adopted a very scared 4-year-old black and white cat from Wood Green, The Animals Charity in Cambridgeshire. 'Patch' (as she was then known) had not had a good start in life. She was very frightened and met any attempt to approach her with hisses and spits. The lady who had owned Patch previously had rescued her from someone else but had turned to Wood Green because despite her loving care there had been no improvement in Patch's temperament, and she had even begun to self-harm (wounding herself). In the weeks leading up to the Sponsored Fire Walk (16 April 2016) that I'm doing to raise funds for Wood Green, I shall share the story of how Patch became Gracie, the sweetest, most gentle cat I've ever owned (I've adopted seven cats from Wood Green over the past decade!). I hope hearing how we helped Gracie to turn her life around will encourage you to support Wood Green and the amazing work they do for unwanted animals like Gracie.